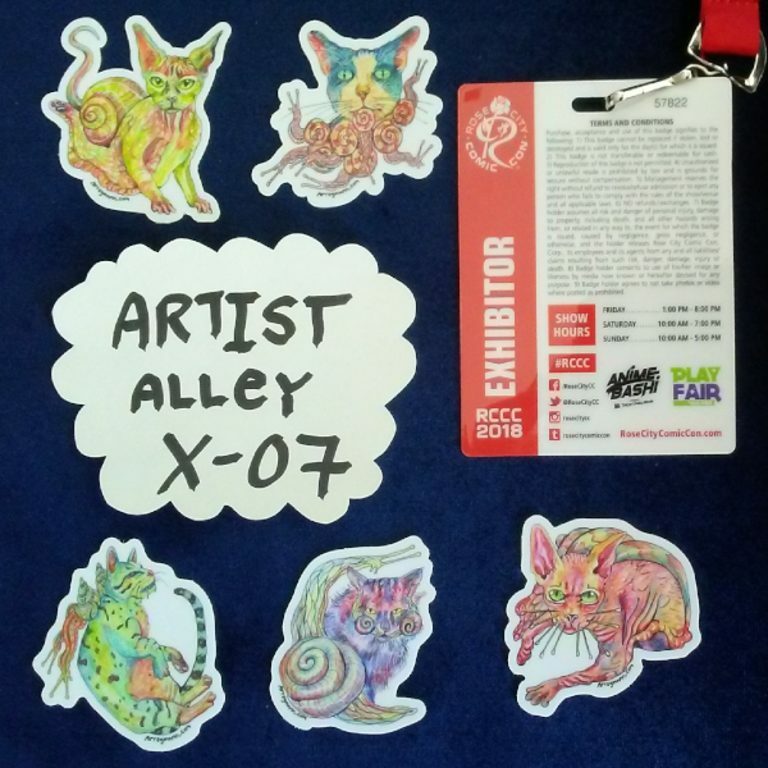 Rose City Comic Con this weekend Artist Alley X-07. I will be there with some beautiful new sticker packs see you there! I will be at Rose City Comic Con this weekend September 8, 9 and 10th at Table X-04 in Artist Alley. See you there!